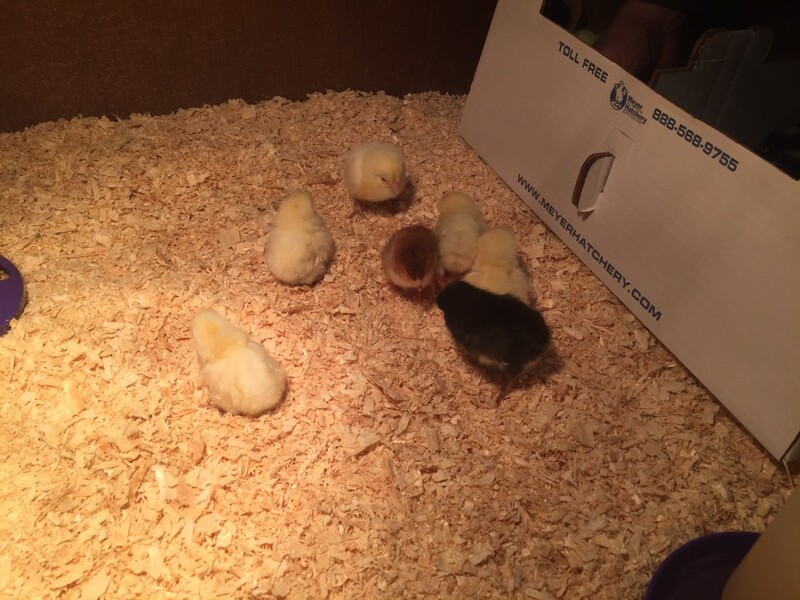 The first baby chicks out of the box! 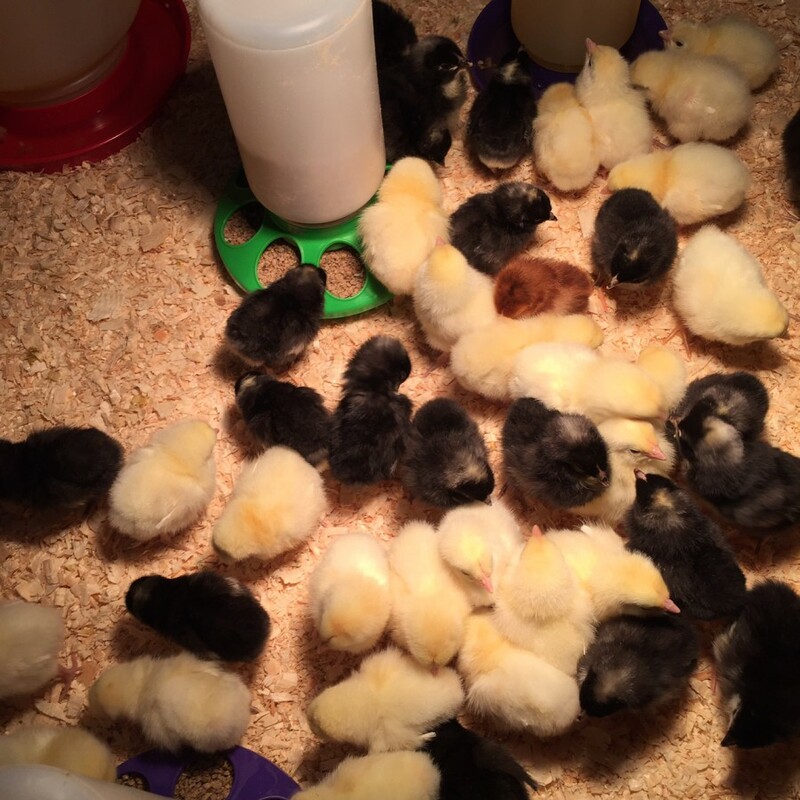 We opted for Barred Rock and White Rock chicks because of the availability from the hatchery. 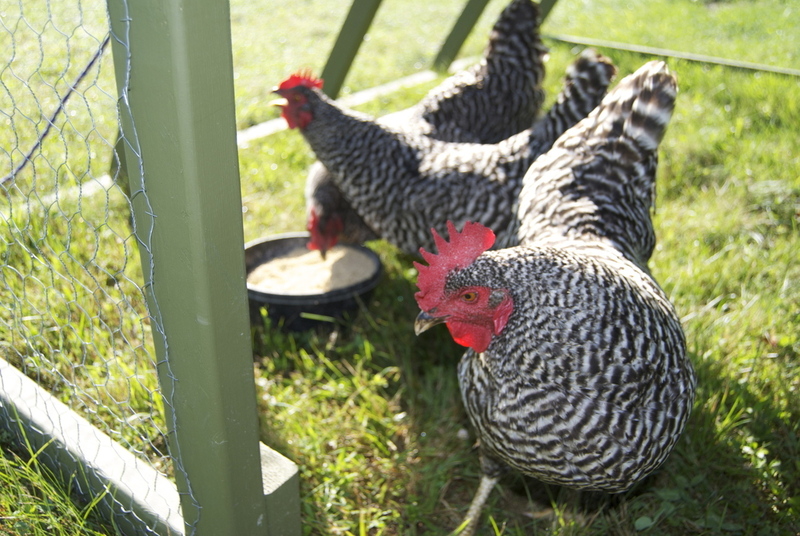 Per Meyer Hatchery's website "This old- time favorite lays brown eggs and is a popular dual- purpose breed. This breed is very friendly and does well in cold weather. Plymouth rocks have high egg production, a meaty body, a docile personality, and good hardiness all characteristics that would be a great addition to your flock! 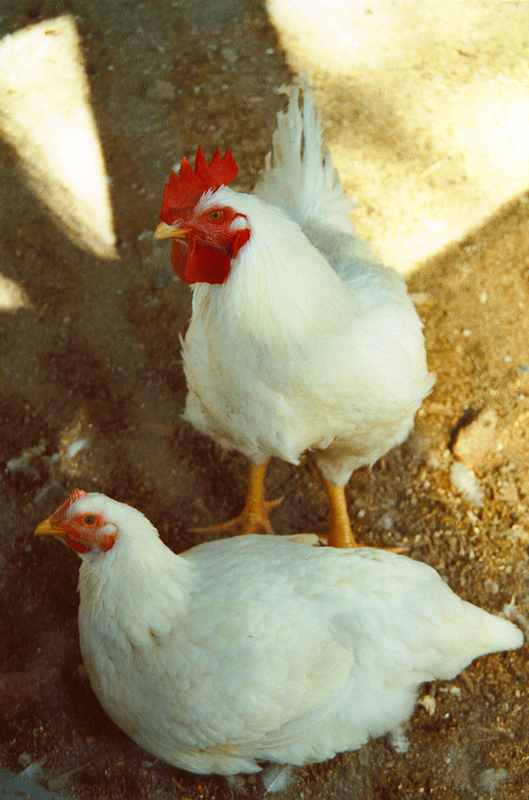 These lovely birds have black and white barred feathers, with the roosters slightly lighter in color than the hens." The White Rock chicks are yellow in color but will become white as they mature. The description from Meyer Hatchery's website states "Just like grandma used to raise. These large all- white birds are clam and pleasant to be around. While not as fast growing as our broilers, White Rock roosters are excellent for the freezer. White Rock hens are good brown egg layers. Average mature weight: roosters 9 lbs., hens 71/2 lbs." We also have two Blue Copper Marans. These were just two special birds I added to the flock because they were too cute to pass up!